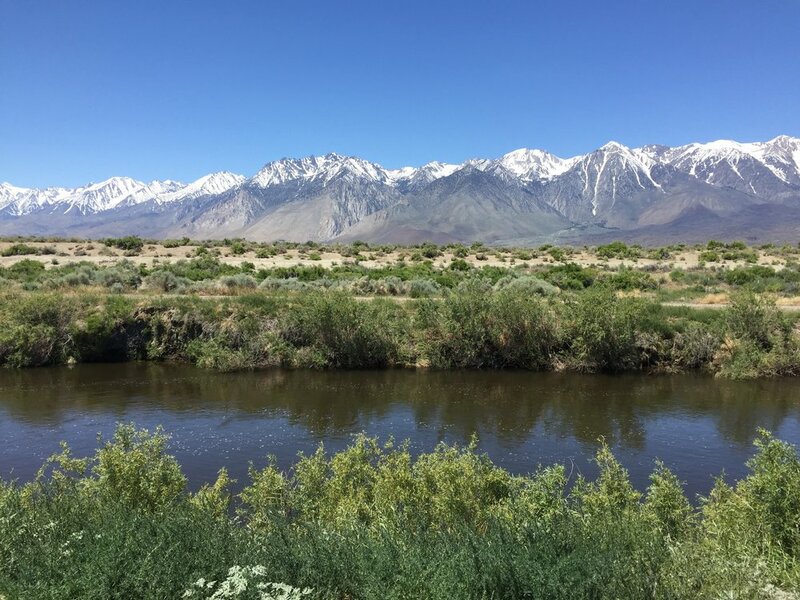 The Owens River, which flows through the eastern Sierra bioregion of California, is an example of a high desert riparian system which has been extensively modified and managed for human use. Beginning in 1913, the lower Owens River was diverted into an aqueduct to supply water for the City of Los Angeles. Flows south of the aqueduct intake were substantially altered until 2006, when a historic agreement between the Los Angeles Department of Water and Power (LADWP) and the County of Inyo initiated a gradual rewatering of the riparian floodplain. I will use my data, along with the results of past avian surveys, to identify changes in bird diversity and abundance before-and-after rewatering efforts. Further, I will use butterfly data that I will collect in 2017 and 2018 to model relationships of butterflies to habitat variables ten years following rewatering. The Lower Owens River -- formally dry due to water diversions -- now runs south through the Owens Valley, CA. We are quantfying the response of birds and butterflies to the reintroduction of water to the river system.